Home > Love > Inspiration > A NEW LOOK. SAME GREAT PRODUCT! 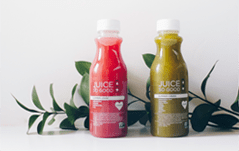 Yup, that’s right, we’re launching a new and refreshed packaging look for our popular line of cold-pressed juices! 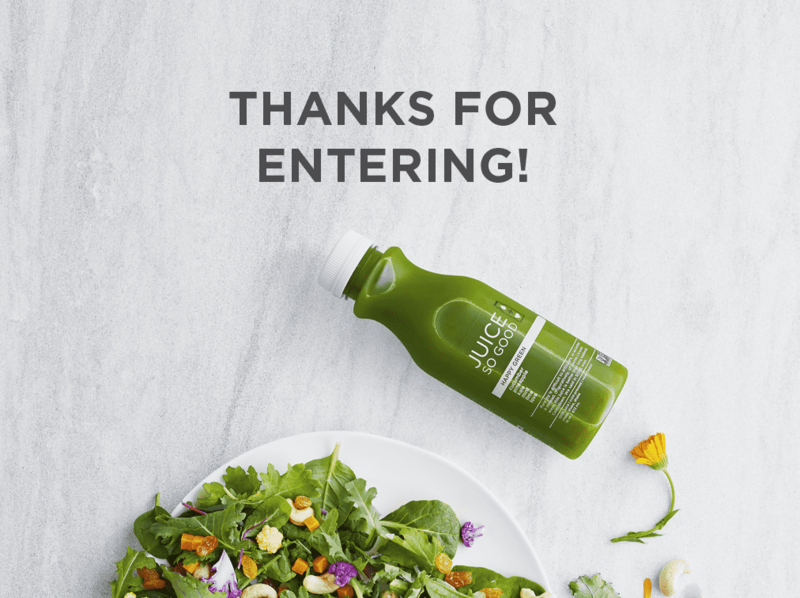 Though a fan favorite for many years, it was time to find a creative package solution that would continue to make an impact on-shelf in a maturing cold-pressed juice category. 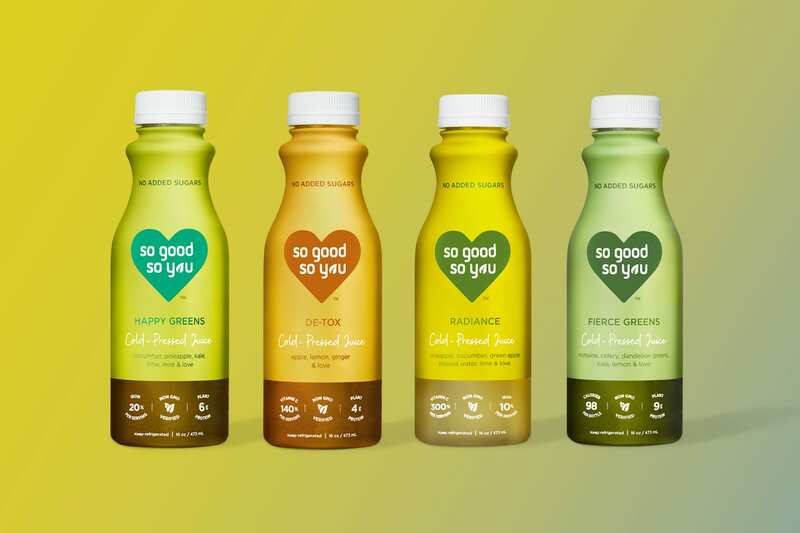 The new clean design catches up with the brands’ new So Good So you name and brand identity — and is a visual representation of our bold juice flavors and better reflects our nutritional values — all while highlighting the unique So Good So You brand experience. 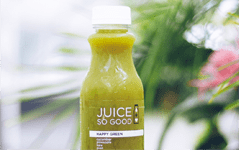 You’ll notice that the new design features a large, clear window on the bottom half of the label that is set against a colorful canvas, accented with a soft-modern design that leverages clean lines and a mixture of contemporary and script typography. 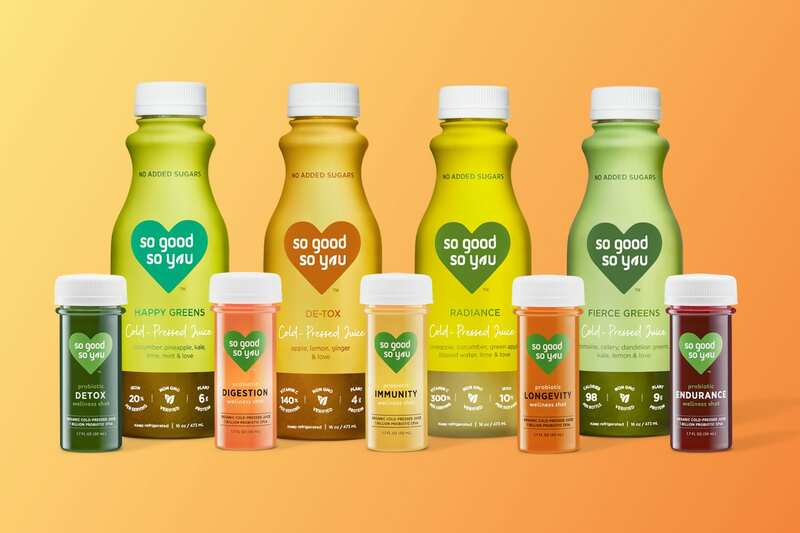 Though we have always taken a bold stance for the use of clean, whole ingredients, no added sugars, no additives, or preservatives — we wanted to make sure that our new packaging reinforces our unwavering, stance for healthier, tastier beverages that also deliver the best possible nutrition. 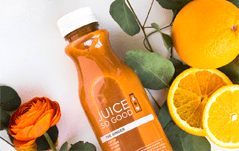 Therefore we made sure to include easy-to-read ingredients and nutritional benefits on the front of the label — allowing you to quickly recognize the benefits for each of our cold-pressed juice flavors. We couldn’t be happier with the new package design and want all of you to be toting one of our new bottles around town soon. 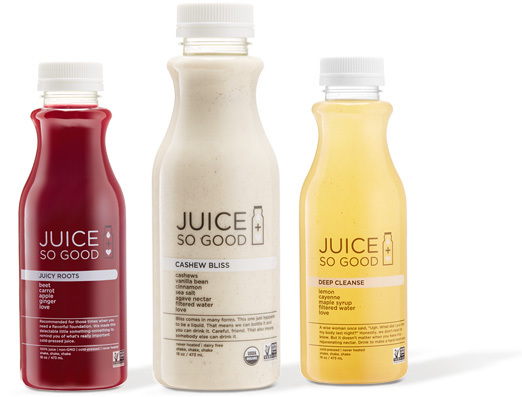 For now, our cold-pressed juices that are sporting the new label designs will be available at Publix supermarkets only. Not to worry, the new packaging will be rolling out on shelves at select grocers and natural food retailers nationwide soon. Visit this blog frequently for future announcements!